This is probably the most off-roading this original X5 has ever done in its life. Launched in 1999, the was a landmark vehicle for BMW. It was the company’s first ever SUV, and arguably paved the way for the segment’s sales boom in recent years. 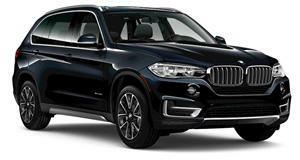 At the time, it was one of the sportiest SUVs on the market, with BMW even hailing it as a Sports Activity Vehicle. But the truth is, it was useless off-road. You were more likely to see it on city streets doing the school-run than tackling rough terrain. That didn’t stop this group of Russians transforming one into a rugged off-roader, however. By the looks of it, they found the totaled X5 in a junk yard and set to work on making it more off-road capable. As you can see in the video, they started by cutting the roof off. You can easily imagine the Top Gear or The Grand Tour team performing similar surgery on an SUV. A reciprocating saw was used to slice through the body and remove the upper door sections and pillars. Replacing the roof is an external roll cage that doesn’t look particularly safe. Chunky off-road tires were also fitted to handle rough terrain, though this required some fender trimming. The result is impressive and makes the original X5 look a lot more menacing. The video is all in Russian but skip to the second half to see the X5 endure a lot of punishment in a challenging off-road course, where it wades through water, drives through deep ruts, and climbs steep slopes. It’s unclear if the powertrain was modified, but the X5 used was the 4.4-liter V8 version.